Hello Helmar fans, Raelene with you Today with a Mary Poppins project. Living in the town PL Travers was born in means I have a lot of Mary Poppins memories to document in addition to my memories of enjoying the movie as a child and again as a parent with my children. I really wanted to do a mini album for all these memories but I couldn't decide on a size so I thought a Traveller's Notebook insert would be perfect for this project. I love TN Scrapping it is a great way to get memories down quickly. So Today's post is about documenting this year's Mary Poppins Festival, I left several pages in the front of my insert for documenting my childhood memories and taking my kids to the festival when they were younger to the Festival. 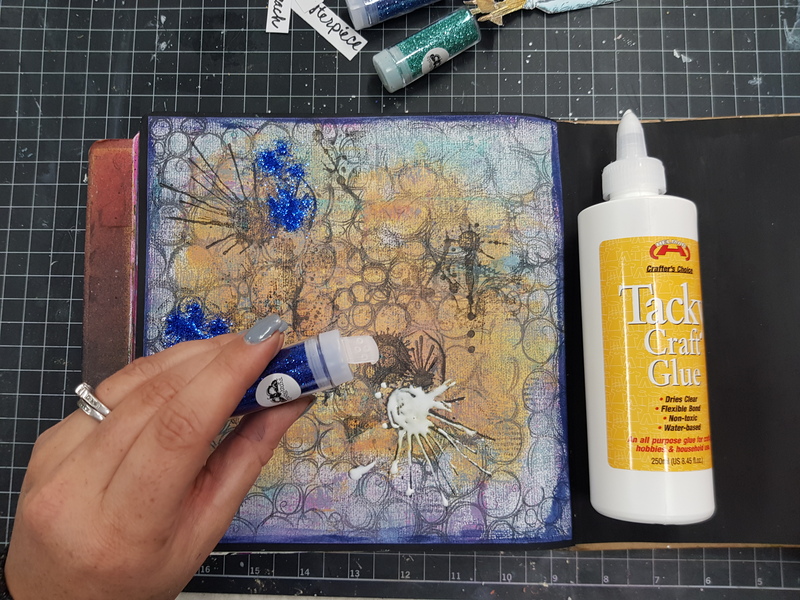 This post is about the pages that feature embellishments I made with Helmar glues. There was so many wonderful costumes and so much going on, we could have taken hundreds of photos and not captured all the wonderful things. Assorted free printables found online. I started by making 2 paper doily parasols, I knew I wanted to use one of these with a particular photo I took on the day. I folded a paper doily in half, and that half in half and so on until when folded out there was 16 segments. I cut this in half, I folded the outer segments so they folded in. I grabbed a toothpick and used Helmar Quick Dry 450 glue to glue the toothpick to the inside of one side of the doily half. I then added some Helmar Quick Dry 450 to the very edge of the back of this and glued the other side to this. I ran a small amount of glue to the inside on the toothpick and glued the top section of the doily down onto the toothpick so it looks like a parasol. I also cut out parts to make a paper kite to use when needed, and selected a twine to use when I adhere it down. But more on that later. Now that I had my parasols and pieces of a kite I started scrapping my memories. For the layout with the paper doily parasol I started by choosing a lovely vintage looking paper from a very old Kaisercraft Magnolia Grove. I layered the backside of the left over piece behind the photo and added a section of vintage crocheted doily along the bottom. I adhered the doily to the papers with Helmar Premium Craft Glue and adhered the papers together with Helmar Acid Free Glue. I know my memories will last thanks to Helmar. I aged my typed journaling with some Distress Ink in Walnut stain and adhered this to the crochet doily piece with Helmar Premium Craft Glue. I then built a small cluster with the carpet bag charm from my Scrapping Fun Kits August 2018 Kit and a butterfly sticker from the Kaisercraft Magnolia Grove paper pack. Helmar Quick Dry 450 was the perfect glue for adhering the charm down to the paper. When adding the kite to the page I used Helmar Premium Craft Glue, I simply applied it directly to the page in a wave and added the twine to it, then I added 4 dots on the twine to adhere the bows to and some to the top of the twine and the page to adhere the kite shape to. I matted my photo with a journaling card from a free printable I found online and my background paper is from Kaisercraft Magnolia Grove. I have loved getting these memories recorded like this. 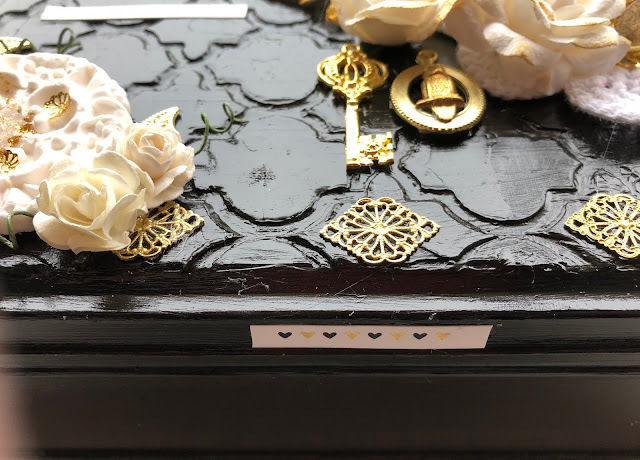 In addition to using Helmar glues to make my embellishments I used Helmar Acid Free Glue to adhere all my photos and papers, I know that using Helmar means they will last a lifetime. I will have a flip through of the finished project up on my YouTube Channel shortly. Positions on the Helmar Creative Team are for a 6 month term beginning October 1st, 2018. The possibility of a selection of products from our generous Preferred Partners throughout your term. For example; last year we joined with the paper foil company; Rinea. Please submit your application to socialmedia.coordinator@helmar.com.au by Friday 7th September 2018. Look forward to seeing your applications!! Hey Hey good people, Tamiko here on the blog!! Can you believe it's the end of August already? (smile) As many of you know I love to make books/journals. I know among all my hoarded supplies there is enough for a journal of any kind. Today we create a junque journal. Now what's a "junque" journal? Well the term "junque" means to rummage through findings. They don't need to be all matchy matchy and the collection can be rather eclectic! 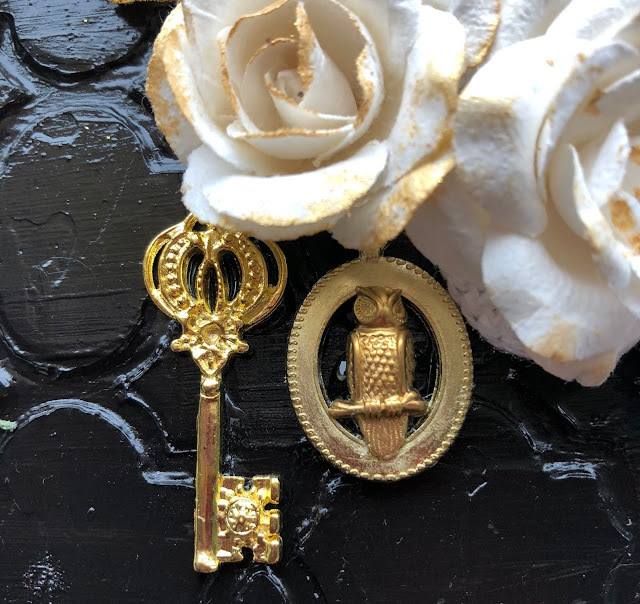 Today's junque journal has a Chicago theme and if I am lucky I can complete it later with pictures of a few of my favorite places and foods and send it to my friend in India. 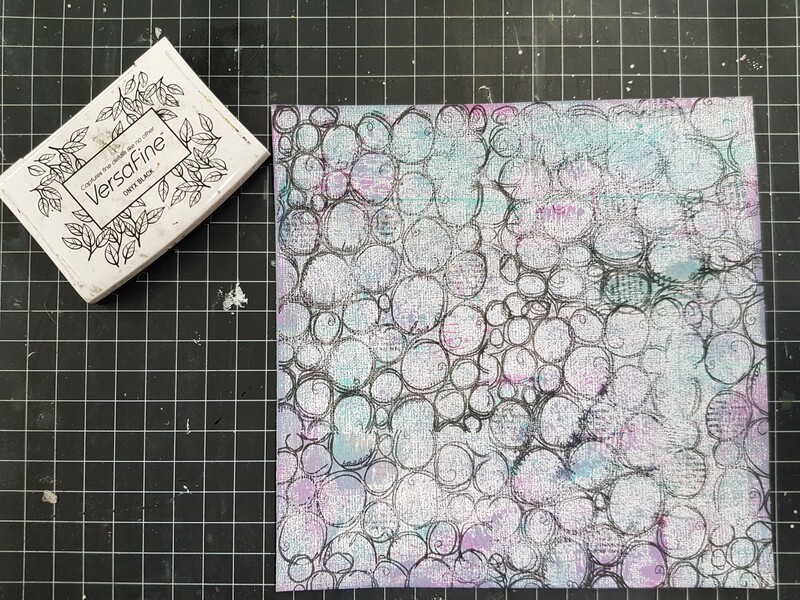 Let's check out how I made the outside of the junque journal today. I collect chipboard, in the form of old cereal boxes or frozen food boxes or in this case.. the packaging of paint pallete. If you have ever made a simple book with chip board you know all you really need is a measurements of the front and back covers and a spine. I chose to do a book that was 5x7 with a 1 inch spine. I can often reinforce the sturdiness of the book by just doubling the boards used. I used Helmar Super Tac Glue to put the layers of board together. Then I used the Helmar Premium Craft Glue for the spine. I find that the Super Tac Glue is very fluid and adheres quickly. There is a VERY THIN LAYER, between the boards. I choose the Craft Premium Glue for the spine because of the thickness and flexibility needed bending back and forward. I then cut my canvas to size and decorate the primed side with simple watercolors. You can use acrylics too if you like. While the canvas is still wet, I adhere it to board using Super Tac Glue. 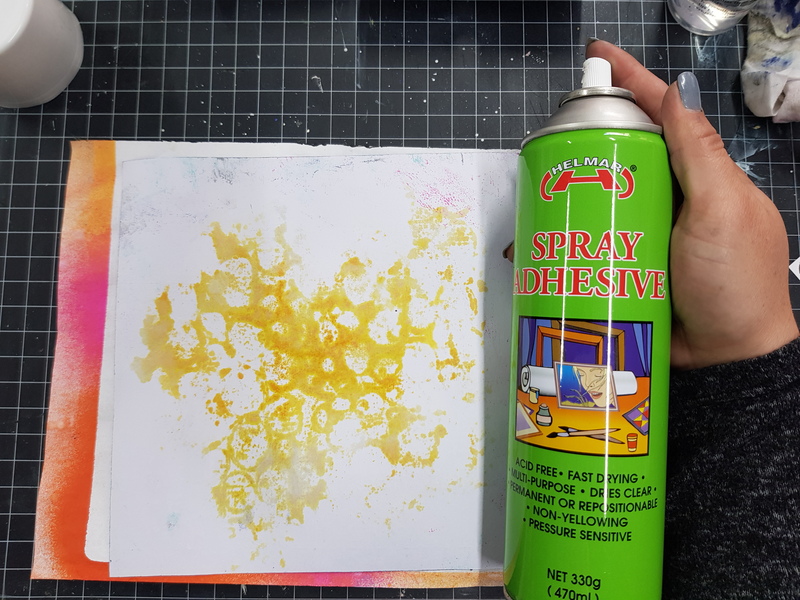 I take the glue and with catalyst tool or a squeegee of some sort I spread the glue across the board and place it against the canvas. I then smooth the canvas against the board with the squeegee to force out any air bubbles. The half inch space (sometimes I feel like I should have figured more like an inch maybe) that I leave around the outside, beyond the board covers the edges. I used the Helmar Craft Premium glue again to secure the edges. I also took cardstock and covered the inside of the book, remembering to cut the page a 1/4 of an inch within the cover, so there would be no overlap. I created a flag of the city of Chicago tacked that to the front with Craft Premium Glue. I had some Chicago themed dimensional stickers I had been hoarding and while I deconstructed them by removing some of the bulkiness (from the layers and foam tape), I still finally used them! (Yay me!) and again used the same glue to adhere the paper stickers to the canvas. I folded some blank papers to create a a few signatures on the inside of the journal. I used the hemp cord to secure them loosely to the journal cover and knotted the outside. I hope you enjoyed this junque journal and go check out the glues mentioned in this post and other great products from Helmar USA !! HI its Bridget here again. 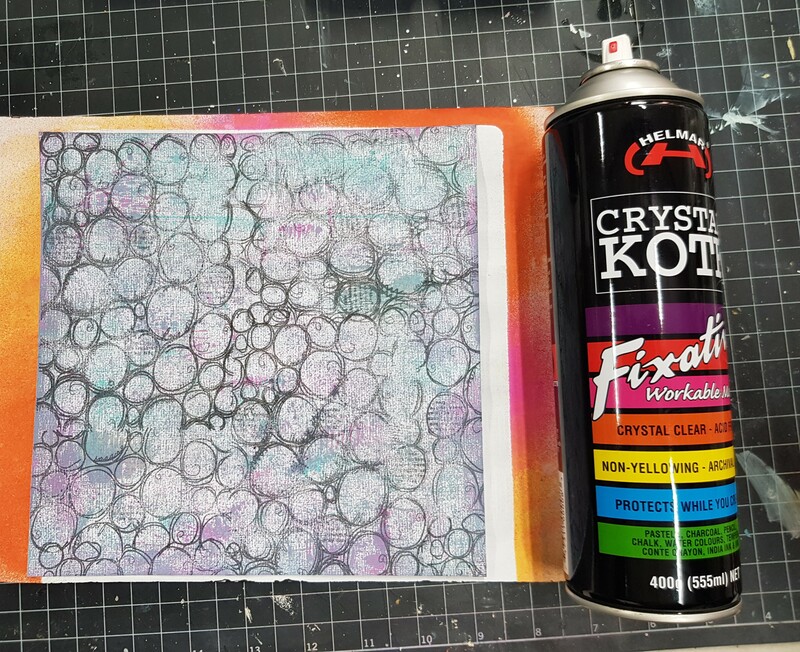 Today I am going to share with you a great craft I did using one of my Favorite adhesives. 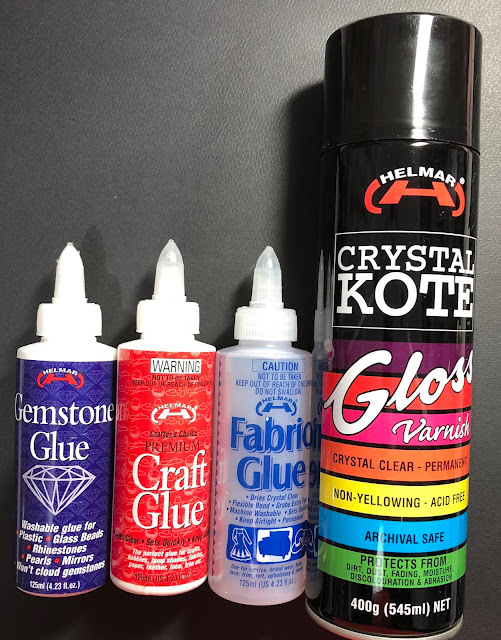 Helmar's Premium Craft Glue is fantastic, it dries crystal clear and quickly. It also bonds to most surfaces so to me this makes it the perfect glue for crafting. Here is what I used Helmar's Premium Craft Glue for. Wine bottles empty, clean and with the labels removed. After your wine bottle have been emptied, cleaned and dried take them outside or to a well ventilated area. Using a light back and forth motion spray your bottles. Let them dry between coats as you dont want any drips. Let dry. Next step is to wrap the twine around the bottle. You can wrap the whole bottle, the middle, top and bottom any way you like. I find you dont need to cover the whole bottle in glue. Just place a few spots of glue around the bottle. The glue dries quickly so just put a few spots at a time where you are wrapping. Then tightly wrap the twine around the bottle, pushing each row into the next. I found the nozzle of the glue great for this. Next step is to paint your wood letters. I choose to do HOME, but you could do FAMILY, LOVE, JOY the choice is yours just one bottle per letter looks best. After these have dried using Helmar's Premium Craft Glue adhere to your bottles. 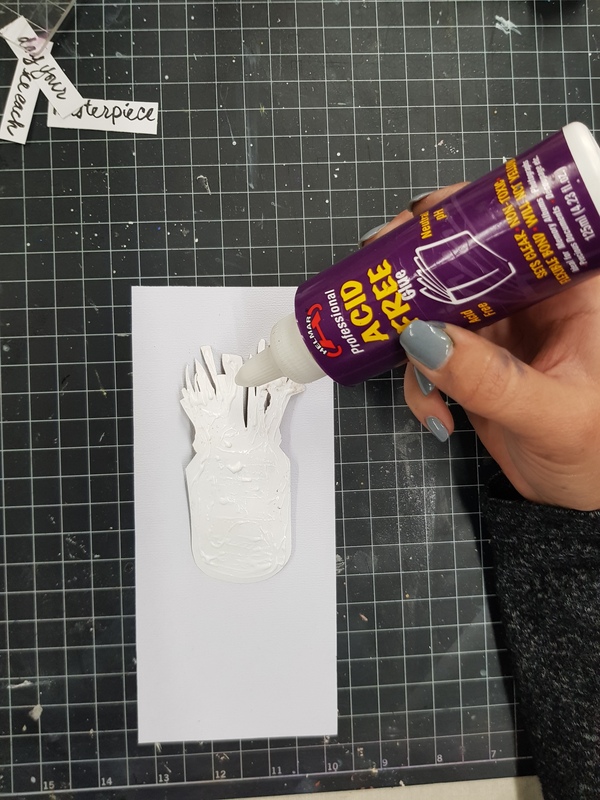 You may need to press them while the glue starts to dry, but because it is such a quick drying glue you only need to hold the letters for a minute. Then lastly using Helmars Premium craft glue attach any embellishments you wish to use. Here is my completed project. I really had a great time creating this. I hope you give this a try and if you do I would love to see what you created so please let us know. Until next time Happy Crafting! This project is for Helmar! Make sure you check out the Blog and see what the Design Team have been creating over the month and get some great inspiration from them! I started off by painting the tin with black gesso making sure to cover all the sides and the top. Once it was dry I then used the Memory Maze Door Wire Stencil with some Impasto through it when that dried I painted over it with black gesso. I sprayed the tin with the Helmar Crystal Kote Gloss Varnish so it is nice and shiny (always make sure to use the sprays outside as they have a very strong smell). I started by sticking the flower doily down with some Helmar Fabric Glue then stuck the metal down with the Craft Glue. I used some Vicki Boutin Word Stickers and also a butterfly and a strip of hearts from the same pack I the Craft Glue to stick all the stickers down to make sure they don't come up. 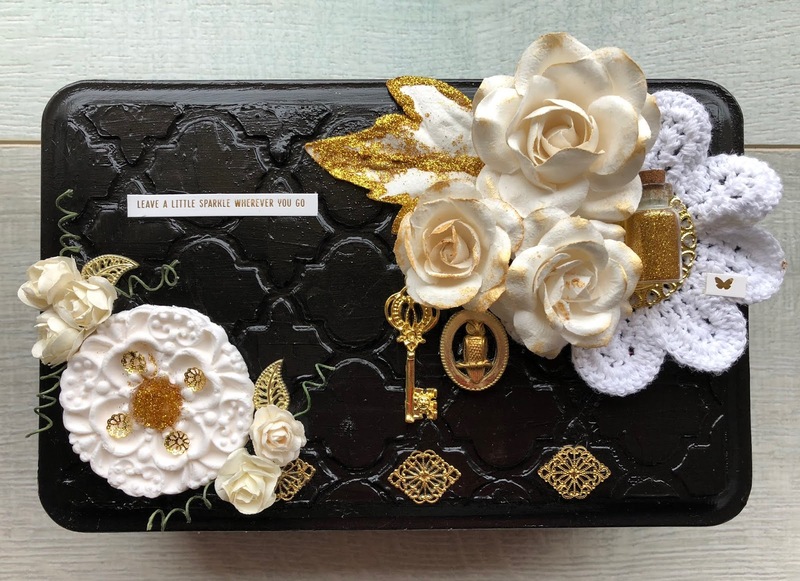 The flowers are from a Prima Pack that a friend gave me and they are perfect for this project. I love metal and have a great stash so I will always find an excuse to use some and the Craft Glue is great for gluing the metal down. I also used it to stick the flowers, the paper clay and the little glass jar. 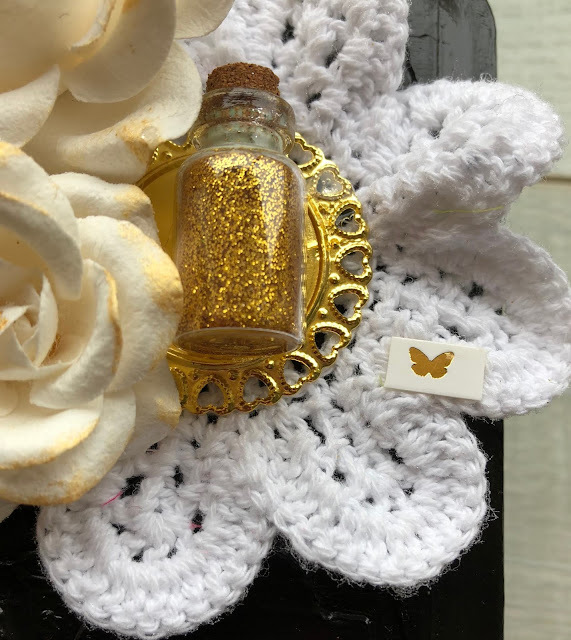 The glitter in the jar I glued in with the Helmar Gemstone Glue which I also used on the leaf to glue the glitter around the edge. They have a huge range and I'm sure you can find a different product for just about anything you may need. Hello! 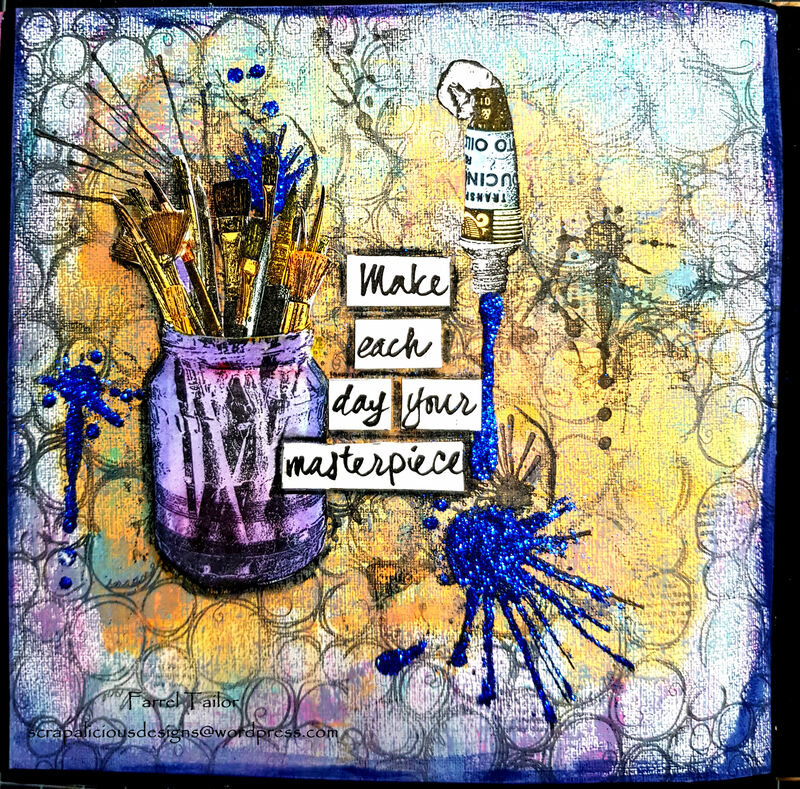 It’s Robyn Wood with you today sharing an altered photo frame project. Recently, I reorganised my craft space and felt the need for some new art to decorate walls. I’d bought a cheap picture frame ages ago with the intent to alter it somehow so it seemed the perfect place to start. I love using text in my artwork so I covered the frame with torn pieces of pages from an old French dictionary. I would usually use just Helmar Professional Acid Free Glue for collaging the text paper, but I wanted a white-wash effect so mixed in some white gesso. It gives a wonderful opaque effect to the paper. I only collaged the front face of the frame but also allowed the glue/gesso mix to paint over the sides a little. 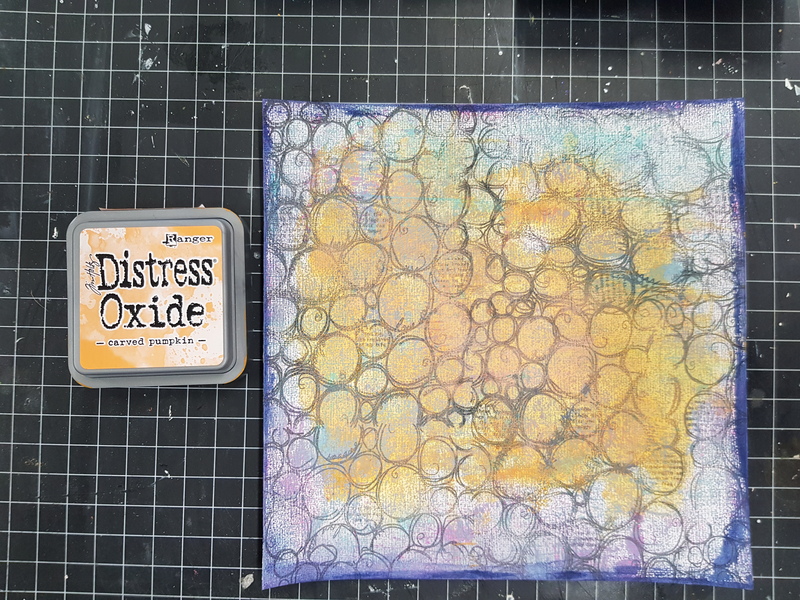 Once dry, I used Distress Oxide inks to give the frame some colour. Being a dye based ink, the ink will smudge/run when touched so it needed some sealer. A few quick sprays of Helmar Crystal Kote Matte Varnish and the issue was sorted. I love how this product leaves a wonderful matt effect that is protective but so touchable! While the frame dried, I stamped a couple of butterflies from the Darkroom Door Wings rubber stamp set onto watercolour paper and coloured them with Ecoline watercolour markers. For a bit of a different background I used alcohol inks with Yupo paper. Yupo is a synthetic paper that is non-porous and enables the alcohol inks to flow over the surface to create beautiful, abstract style effects. Firstly I sprayed the Yupo with a light spritz of isopropyl alcohol and then dropped alcohol inks onto the surface and moved the ink around by blowing through a straw. This gives a wonderful spread of colour! Before the surface was dry, I scrunched on a large piece of cling film and left the Yupo to dry. (As it is non-porous & covered with plastic, the piece usually needs overnight to dry.) Once dry, I removed the cling film to reveal a wonderfully textured finish. To assemble the piece, I cut the Yupo background to size and glued on the pair of butterflies in a pleasing arrangement using Helmar 450 Quick Dry Adhesive. I like things to be dimensional so only applied glue to the butterfly centres, allowing the wings to raise a touch. The frame needed a little finishing piece and this metal quote from the Tim Holtz Idea-Ology range was perfect. 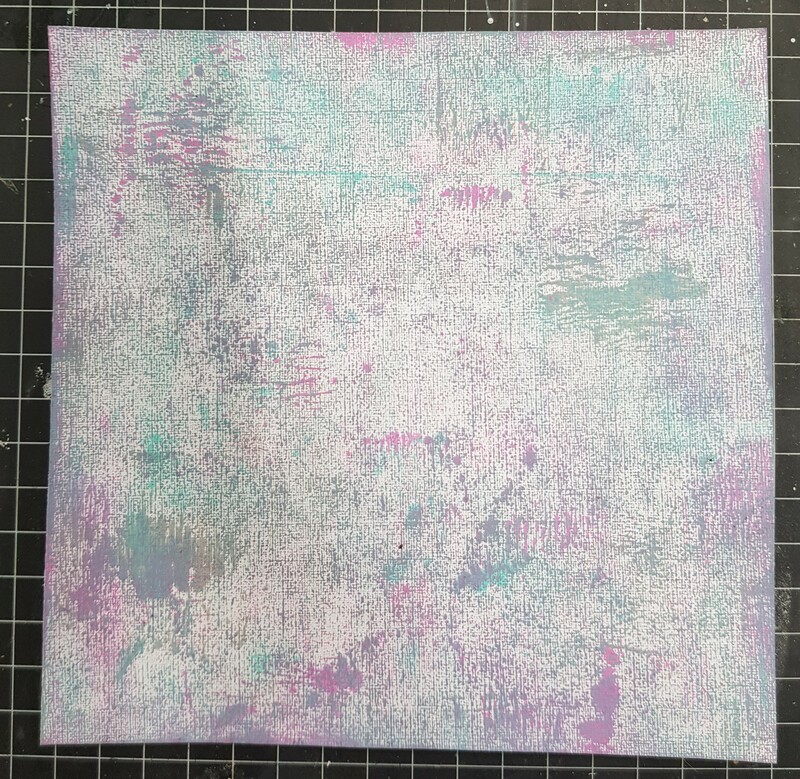 I painted it with a coat of gesso and just before it dried, rubbed the surface back a little with a paper towel. A touch of brown permanent ink and a few scratches and it was ready to add to the frame. Hi everyone!! Amylove here to share with you one of my very shabby and very large wall flowers. Begin by taking your needle and thread and doing a running stitch along the edge of your widest lace trim. Then pull gently to gather lace to make your flower base. Sew up the ends of flower to give a finished look. And there is your first layer! Repeat this process for as many layers as you would like using a smaller lace trim each time. Now that all of your layers are ready, we will assemble the flower! I used Helmar Fabric Glue to adhere the layers together. I used doilies as some of the flower layers. Once I had all of the layers down, I used Helmar 450 Quick Dry Adhesive to add bling and a bow. I attached a hanger and a felt circle to the back. It turned out lovely!! I hope you love it too! Hello once again crafty friends! This month I'm sharing with you this small canvas bag that I altered . You can use any style of fabric. I had quite a bit of this style of fabric that my mother in law had given me. So I thought I would put it to use right away on this project. I had purchased this canvas bag a while back at Michaels. I came across it the other day while searching thru my craft room. 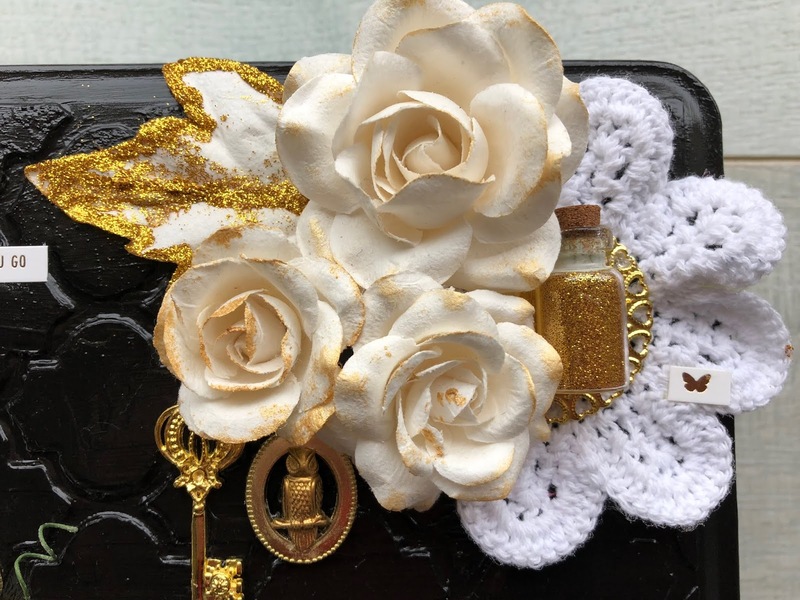 I figured that this would make a cute make up bag or a small handbag you can carry your phone, keys, maybe small wallet without having to carry a large handbag like the ones I love to carry. I think this is probably gonna be my shortest post while I've been a part of Helmar Creative Team. This was a pretty simple project to make and no need to sew! I absolutely love the Helmar Fabric Glue. It makes projects quick and great hold as well. All I did was measured and cut the fabric I would be using. I began adhering it from the edge of the zipper and worked my way down. Once I finished adhering it all the way around from one side of the zipper to the next, I folded inward maybe 1/8 of an inch possibly and adhered the sides and bottom corners together. In order to secure it, I did a few dots of hot glue just to hold it in place while the fabric glue dried. Once I was finished with that I found some black trim that I had in my stash. I adhered it all the way around the edges of the sides and bottom. I then added the left over trim to the center. I found this silk flower with the bling center that a friend had given me when I began crafting. I adhered it on to the center of the trim. If you live in the United States, you would have celebrated Independence Day! This day celebrates the adoption of the Declaration of Independence from the British Empire. The 4th of July traditionally means parades, picnics and fireworks. And, everything is decorated using red, white and blue - the colors of the flag. In keeping with this theme, I made a new 4th of July banner! I gathered my supplies including paper, mists, paints, buttons, punches, ribbon, and of course, Helmar 450 Quick Dry and Helmar Fabric Glue. I began by cutting pennant shapes from light weight cardboard which provides the banner with more strength. I decided on the papers to be used and adhered using the Helmar 450. This quick drying adhesive allows me to assemble the entire project quickly. Once each pennant was covered, it was time to add the embellishments! I punched a variety of flowers, added more layers of papers, and bows. Once I liked the placements, I used Helmar 450 to secure everything. The last step was to adhere the hanging ribbon to the back. I decided to use my Fabric Glue which sets quickly and has a flexible bond. Here are close ups of the a couple of the pennants. And the finished banner. This will look wonderful hanging up with my other decor! I hope you enjoyed my project! I look forward to seeing you next month! Don't forget to share your projects with us on Facebook! Please check the Order button on the right if you are interested in purchasing Helmar products!